Whatever your game, the FFG World Championships are your chance to prove yourself against the world’s best! Join us this November 4th – 8th in Roseville, MN, to play your favorite game at the very highest level of competition. What’s more, this year we have changed the registration process for the FFG World Championships as they have grown to five full days of gaming. You can find more details about the schedule and registration later in the article. 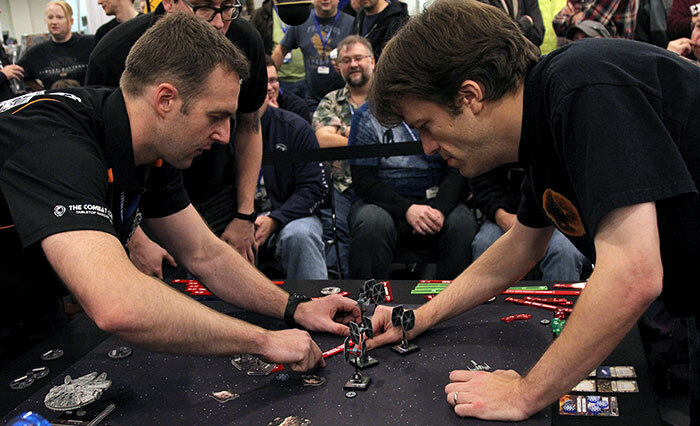 The FFG World Championships are more than competition, however. 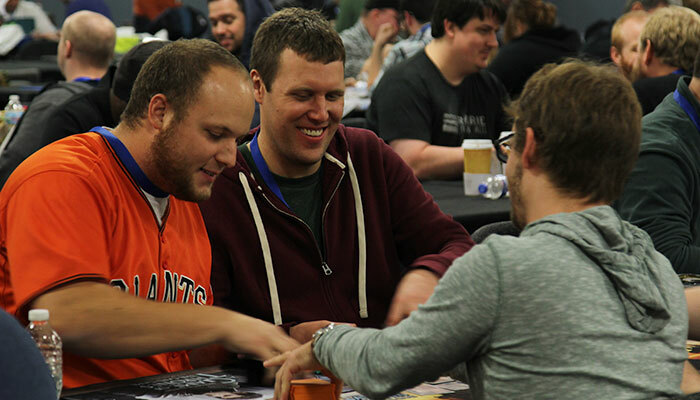 They’re the pinnacle of Organized Play and all for which it stands – the chance to enjoy your favorite games within an extended community of enthusiastic gamers, including players and National Champions from around the globe. 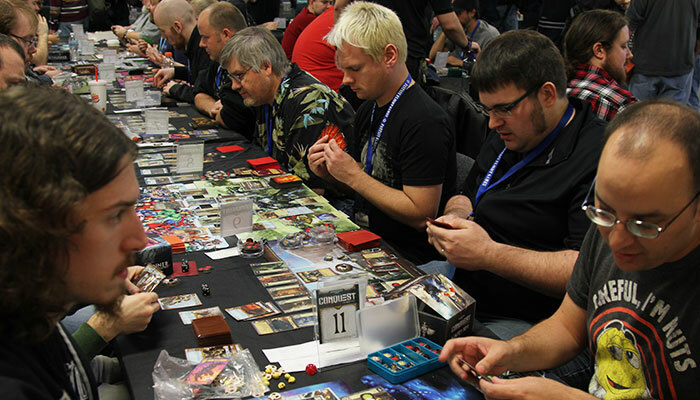 Altogether, the FFG World Championships are an extended, five-day, international celebration of FFG’s Organized Play games and the players that make them great! *The A Game of Thrones: The Card Game Joust, Melee, and Draft World Championships are all first edition. Participants can enjoy A Game of Thrones: The Card Game Second Edition in a unique, special event on Saturday, complete with its own promotional card and other prizes. Why Are the World Championships Five Days Long? 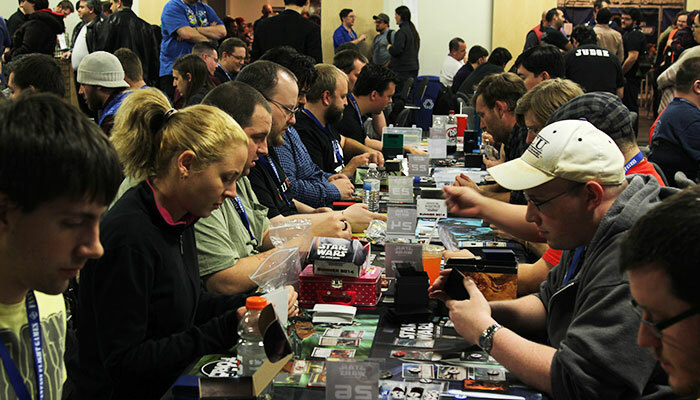 Over the past few years, FFG’s Organized Play program has grown so large that we can’t pack all of our World Championship events into just four days. Last year, we had seven games. In 2015, we are supporting eight games and ten World Championship tournaments, including the World Championships for two exciting new games, Imperial Assault and Star Wars: Armada. Moreover, several of our World Championship tournaments will run long enough that their Swiss and elimination rounds must be split over two days. A major part of the decision to extend the event’s duration was made to reduce the overlap between our events and ensure that we could give each World Championship tournament the love and attention it’s due. Additionally, the reduction in the overlap between our World Championship tournaments means that you’ll have more opportunities to compete in your favorite games. 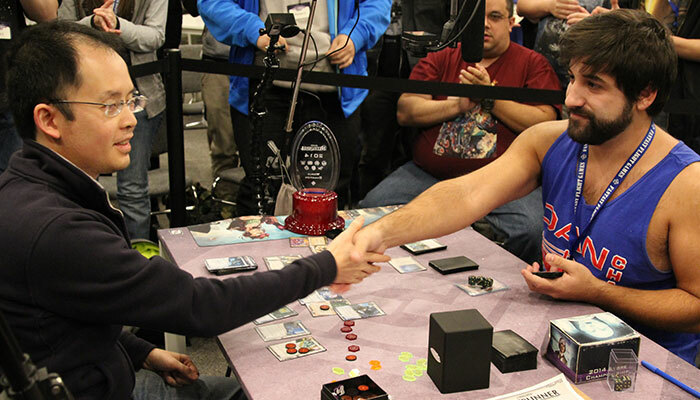 Whether you decide to play in the first World Championships for both Star Wars: Armada and Imperial Assault or you hope to subjugate the Seven Kingdoms before conquering the Traxis sector, the decision to extend the World Championships to five days means you can enjoy more events for more of the games you love. You can download the full event schedule now! 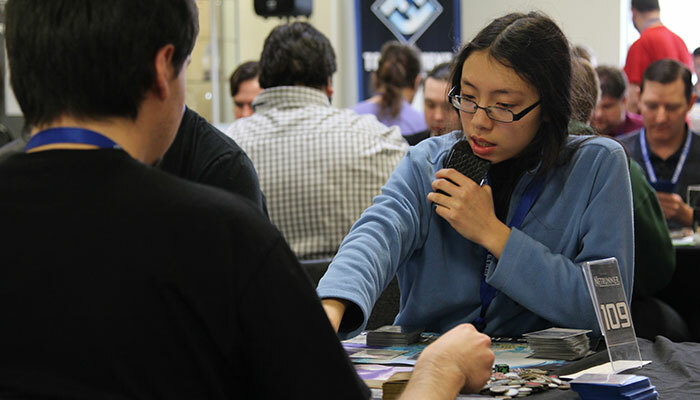 *Participants in side event draft tournaments will need to provide their own draft sets. 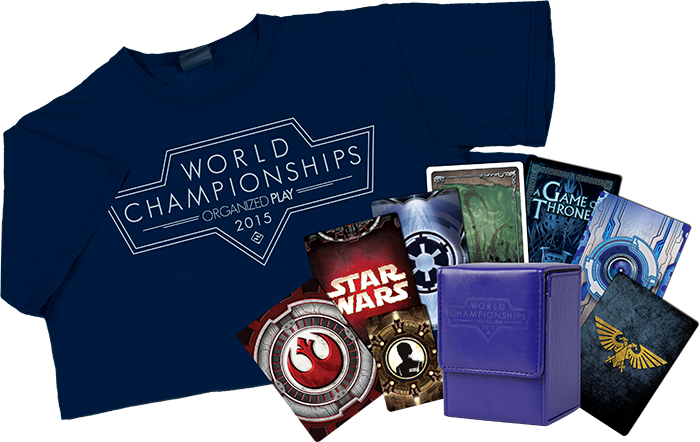 Every World Championships attendee will receive an exclusive World Championships swag bag that features a 2015 World Championships t-shirt, an exclusive deck box, and a set of alternate art cards. The 2015 World Championship deck box features a soft, durable vinyl exterior and a magnetic clasp. It can hold up to 100 sleeved cards. Each attendee’s prize bag includes one alternate art card for each of our World Championship games. All players who play through the full Swiss rounds of a World Championship tournament will also receive two additional copies of the alternate art card for that game that was included in the deck box (for a total of three). The winner of each World Championship tournament earns the coolest prize in gaming – the chance to work with the game’s developers to design a card for release in a future expansion. Additionally, we will offer custom prizes to the Top 16, Top 8, and Top 4 players of each event (except Call of Cthulhu, for which we will offer custom prizes to the Top 8 and Top 4). These prizes will be further supplemented by giveaways, side event prizes, and lots of additional loot. You can stay tuned for more information as we will reveal all of our 2015 World Championships prizes in upcoming previews. 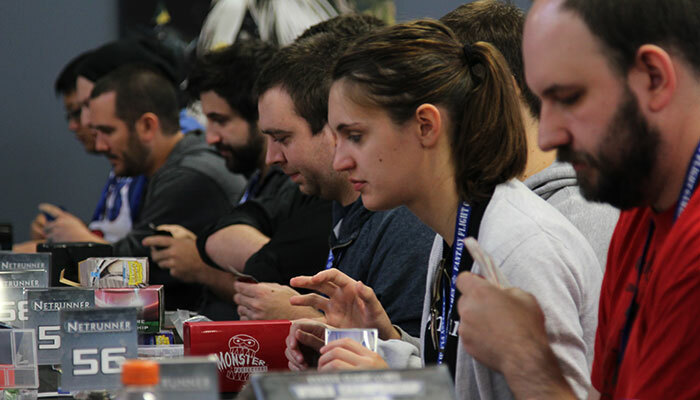 The 2015 FFG World Championships are open to players of all levels, but the event’s fantastic growth has necessitated that we cap this year’s attendance. That means that all attendees must pre-register. While this is a change from past events, it’s a necessary and important step to take to ensure that the World Championships are the best possible event that we can run. This year’s event will still be larger than last year’s, and we are reserving seats for all current and former World Champions of our current games, as well as our U.S. Regional Champions, North American Champions, and select National Champions from the United Kingdom, Australia, and continental Europe. You can learn more about the seats we are reserving for our Champions later in this article. Why Is This Year’s Attendance Being Capped? The tremendous growth of our World Championships over the past few years demanded that we make a challenging decision about where to hold our future World Championships. We could move the World Championships to a convention center or another large venue. However, if we did this, we would be forced to shed many of the personalized touches that have made our World Championships a special and memorable experience for attendees. Or we could continue to host it at the Fantasy Flight Games Center and limit attendance for the event. We spent a great deal of time considering the advantages and disadvantages of all our options. In the end, we decided to keep the World Championships at the Fantasy Flight Games Center. Just like when we first made our decision to move the World Championships to Minnesota, we decided that our first priority was to focus as much energy as possible toward the quality of the event we’re running. Hosting the World Championships in our own backyard at the Fantasy Flight Games Center allows us to give the event as much attention as we possibly can. It allows us to work with our international partners to ensure the participation of multiple National Champions, making it a truly global event. It means we can host your games in a space designed specifically for gaming, with bright lighting, clean tables, and immediate access to food and drink. Most importantly, it allows us to devote our utmost attention to our tournament games and every member of the fantastic, close-knit community of players that participate in them. Registration for the 2015 World Championships goes live at 12:00 PM CST on June 15th at https://fantasyflightgames.thundertix.com/events. You will then have the option to purchase one of four different types of passes: a one event pass, a two event pass, a three event pass, or a four event pass. Each pass gains you acess to the weekend's festivities, as well as the indicated number of World Championship events. After you have purchased your pass, you will receive an email with your confirmation code. You will use that code to register for the number of World Championship tournaments that you indicated when you paid for your pass. 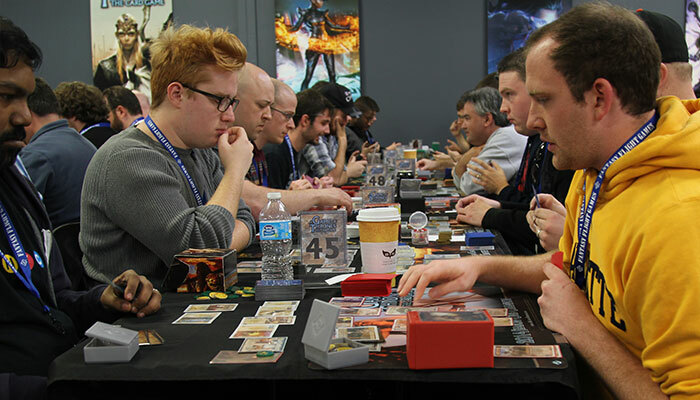 Please be aware that participants in the A Game of Thrones: The Card Game Draft Championship will be charged an additional fee to cover the cost of the draft sets that will be provided. Throughout this initial phase of registration, we will reserve a number of seats for our U.S. Regional Champions, North American Champions, and select National Champions from around the globe; all non-reserved seats for the 2015 World Championships will be made available on a first come, first serve basis. Beginning August 17th, if any of the seats reserved for our U.S. Regional and North American Champions remain open, we will reopen registration, and they will be made available to the public. NOTE: There are a limited number of seats available per tournament. When you pre-register for the World Championships, you must also register for each World Championship tournament that you plan to attend. Your World Championships registration confirmation email will provide you with a code that you can then use to register for your selected events. What If I’m a U.S. Regional or World Champion? If you are a current or former World Champion for any of our current games, thank you for being a part of the Fantasy Flight Games legacy! NOTE: U.S. Regional Champions will only have a spot reserved for them in the game in which they are Regional Champion. We encourage Regional Champions to register using the normal registration process if they wish to play in more than one event. What If I'm a National Champion from Outside North America? This year, seven of our international partners are sending twenty-eight National Champions to the World Championships, and we will be reserving their seats. Follow the link below to find the full list of these partners and the Champions they will be sending. Scandanavia - Bergsala Enigma, S.A.
Other National Champions should be sure to register during open registration on June 15th. Will This Year’s World Championships Be Streamed on Twitch? Over the last couple years, we have improved our streaming coverage of the FFG World Championships, and we will continue to improve in 2015. We will once again post streaming coverage and live commentary. You can check back later for a schedule of our streaming event coverage. Come join us November 4th – 8th in Roseville, MN for a five-day celebration of gaming at the highest levels! The 2015 FFG World Championships are the pinnacle of Organized Play. Registration for this event goes live at 12:00 PM CST on June 15th at https://fantasyflightgames.thundertix.com/events. Mark your calendars!